St. George's Key - Omoa. Mapquest. Aerial or street view. Zoom out 1 time. "Convention Of London": "...IV. The English shall be permitted to occupy the small island known by the names of Cafina, St. George's Key, or Cayo Cafina..."
Saint George's Cay, Belize, Fuzzy Gazetteer, Belize District, island	17.55 / -88.0666666 Basis of site location for St. George's Key. Adjusted visually with Google. Close window to return. St. George's Caye is an island in the Caribbean Sea, 8 miles east of Belize City. It is part of the Belize District of the nation of Belize, Central America. St. George's Caye was settled as a town in 1650, and was the largest settlement in what was at the time British Honduras in the 17th century and 18th century, until its importance was eclypsed by the growth of Belize City. From 3 September through 10 September 1798, the British settlers fought and defeated a small Spanish fleet sent to drive them from the area; this battle is marked as a national holiday in Belize each September 10th as The Battle of St. George's Caye (see also: History of Belize). As of 2000 St. George's Caye had a permanent population of only about 20 people. Omoa, Fuzzy Gazetteer. 15.7666667 / -88.0333332. Basis of Omoa site location.. Scripts must not be disabled. Close window to return. Omoa, EC JRC Digital Atlas: 15.7666667, -88.0333332. Scripts must not be disabled. Close window to return. Zoom in twice. 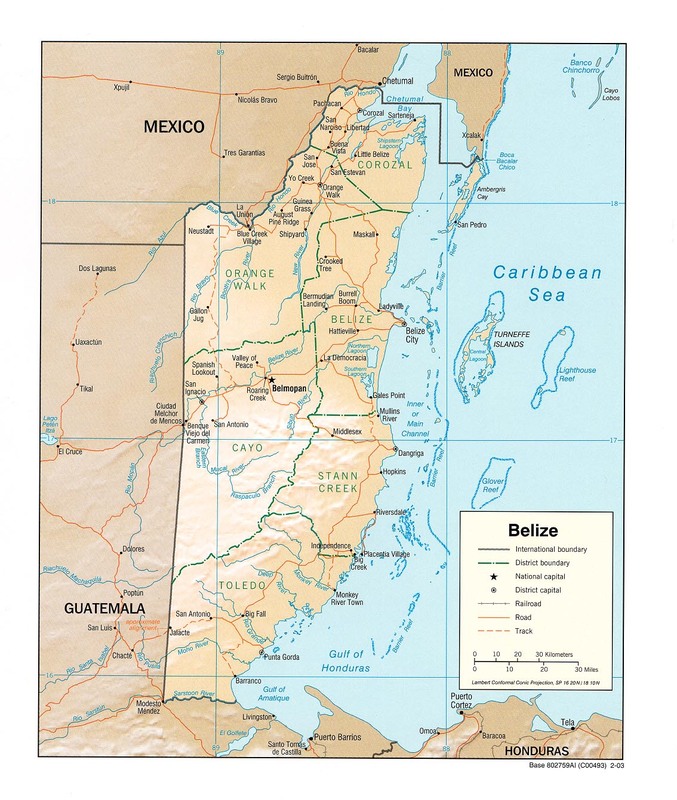 Map of Belize from Univ. of Texas. Map of Honduras from Univ. of Texas. Map of Guatemala from Univ. of Texas. Getty Thesaurus of Geographic Names record for Omoa, Bahía de (bay). "Naval Battles 1776-1800", map. Not found. "Sailing Navies: Chronology - 1775 to 1799". Not listed. Sherman's Calendar.... These dates not included in this work. listing ?? Sep 79. Spanish captured St. George's Key (Belize Harbor)*. Not found. listing 16 Oct 1779. British recapture St. Georges's Key*. Not found. listing 16 Oct 1779. British stormed Omoa*. Not found. listing 28 Dec 1779. British abandon Omoa at Spanish threat*. Not found.